The Corpses are up to something. U.S. Senator Lindsay Micha has been kidnapped and replaced with a "dead" ringer—the sister to Lilith Cavanaugh, the Queen of the Dead. Now, Will Ritter must go undercover in our nation's capitol to ferret out the truth and try to stop this ambitious deader. 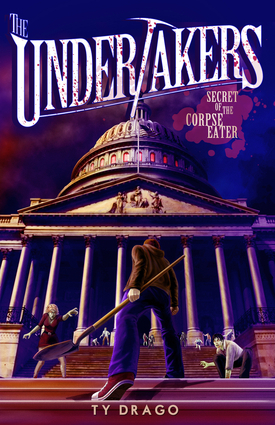 But his mission becomes even more dangerous when he learns of a mysterious 10-legged monster that prowls the halls of the Capitol Building—a lethal monster with a taste for Corpse flesh. Focusing more on scares and suspense than gore, the latest installment in this unforgettable zombie series will satisfy cravings in the hungriest of horror-minded young readers.